If you’ve recently noticed fine lines or wrinkles in the mirror, don’t panic, this is something that naturally appears as we age. Check out the tips listed below to discover a guide in preventing and reducing these pesky wrinkles. As UV rays can damage your skin on cloudy, cold days as well as on hot summer days, it’s essential to wear a carefully chosen non toxic sunscreen on a daily basis. If your skin is exposed to UV rays without sunscreen, you may develop premature wrinkles, which something that could have easily been prevented. In order to keep your skin wrinkle free, it’s well worth treating yourself to a professional facial each month as you’ll be able to opt for a deep pore cleansing facial, that will help prevent new wrinkles from appearing and can lessen the visibility of any wrinkles which you may have already noticed. If you’re not interested in splurging on monthly facials, you can still clean your pores and rejuvenate your skin by purchasing a few inexpensive face masks. The first place that most women develop fine lines and wrinkles is under their eyes, it’s well worth splurging on the best eye cream for wrinkles that will keep your under eye area nourished and protected. Some eye creams even boast collagen which will decrease your chances of developing noticeable wrinkles. Even if you’re in your twenties or thirties, it’s well worth getting into the habit of using eye creams from a young age as the sooner you start using it, the better your skin will be and the less wrinkles you’ll have later in life. 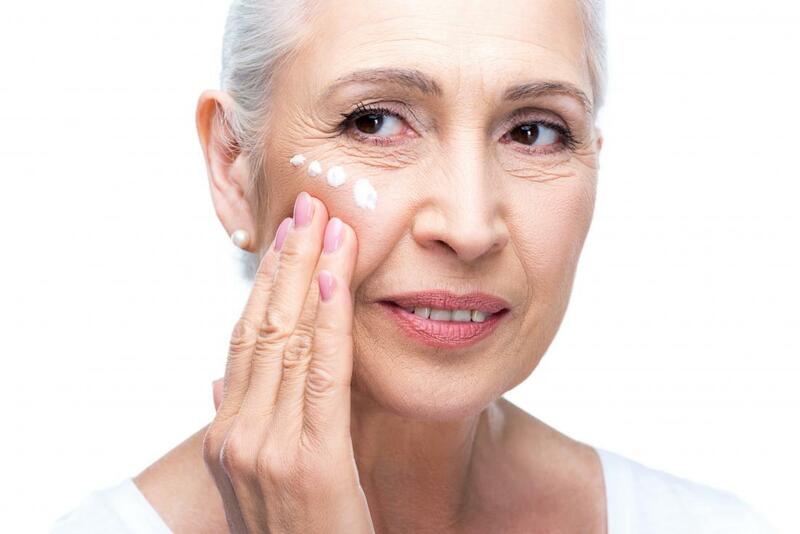 However, if you’re already in your forties or fifties and have noticed the onset of deep set wrinkles, you’ll also be able to turn back the hands of time by regularly using an eye cream. As an example, in summer make sure to wear sunglasses which cover your eyes as well as a large floppy hat, which will keep your face well shielded from the sun’s harsh UV rays! It turns out that beauty sleep isn’t just a saying and can actually help you maintain a healthy, youthful, glowing complexion. Why is beauty sleep so important? When you fall asleep each night your body will start creating new skin cells, which will give you a healthy, youthful complexion. Whereas if you fail to get adequate sleep you can expect your skin to droop a little bit more and for any fine lines or wrinkles to be more noticeable. So it’s well worth trying to get an extra hour of sleep each night, if you’re looking to maintain your youthful appearance and want to decrease your chances of developing fine lines and deep set wrinkles! So if you were recently shocked by fine lines or wrinkles which you’ve developed, don’t worry, simply take a deep breathe and start utilising the 5 tips listed above in order to maintain your youthful glow.